Many people have been reacting to the news of Carrie Fisher's death on Tuesday. Fisher died at the age of 60. She was best known for acting in the Star Wars movies in which she played Princess Leia. Then, Fisher's mother, actress Debbie Reynolds died because of complications from a stroke. Reynolds was 84. She was a star actress and singer starting in the 1950s. Her son, and Fisher's brother, Todd, confirmed the news to reporters late Wednesday. Reynolds won her first big part at the age of 19 in the 1952 film "Singin' in the Rain." She acted and danced with Gene Kelly, who was one of the most popular performers of that time. She made news in 1955 when she married singer Eddie Fisher. They had two children, Carrie and Todd. Three years later, Fisher left Reynolds and married actress Elizabeth Taylor. It was the sensational Hollywood love triangle of the time. Reynolds was nominated for an Academy Award, known as an Oscar, for her part in the 1964 film "The Unsinkable Molly Brown." After the 1960s, Reynolds had fewer film roles, but still appeared often on television. Many people used social media to express their sadness upon hearing the news. They could not believe Reynolds died one day after her daughter. There is a Twitter account for Fisher's dog, Gary. It is run by a fan. The person tweeted a picture of Reynolds and Fisher, writing "they don't make ‘em like this anymore." 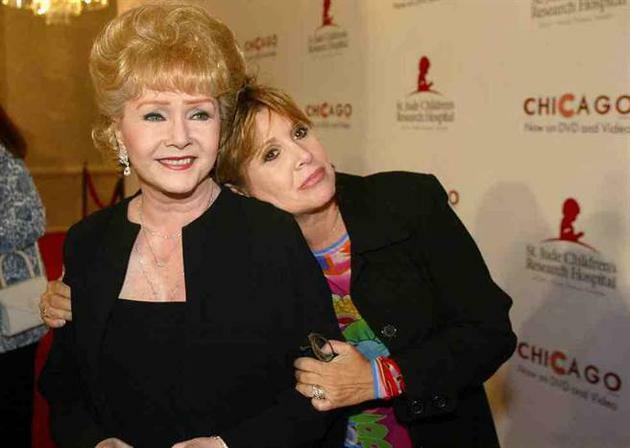 Comedian and talk show host Ellen DeGeneres wrote: "I can't imagine what Carrie Fisher and Debbie Reynolds' family are going through this week. I send all of my love." Actor William Shatner is best known for his role as Captain Kirk in the Star Trek series. He wrote: "Debbie Reynolds was one of the last of Hollywood Royalty. It breaks my heart that she is gone. I'd hoped that my grieving was done for 2016." Other fans posted tributes to the women. Some made videos showing Reynolds' work as dancer, like this clip of Reynolds performing with Donald O'Connor in the film "I Love Melvin" from 1953. And a French artist posted an illustration of Reynolds and Fisher holding hands, dressed in their costumes from"Singing in the Rain” and “Star Wars”. Social media has become the focus of not only our private lives, but our careers as well. I wrote a story about a love triangle in my creative writing class. Practically every movie he made was nominated for an Oscar. Nothing is known as yet about what transpired at the meeting. 1.Comedian and talk show host Ellen DeGeneres wrote: "I can't imagine what Carrie Fisher and Debbie Reynolds' family are going through this week. She's going through a difficult time. That's all there is to it. We have been going through a bad time. 2.And a French artist posted an illustration of Reynolds and Fisher holding hands, dressed in their costumes from"Singing in the Rain” and “Star Wars”. She was dressed in blue denims. He was dressed in white from head to toe.